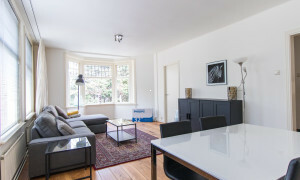 Exceptionally bright, newly renovated and tastefully furnished - Corner apartment on a beautiful location in Amsterdam next to Vondelpark and Rembrandtpark. 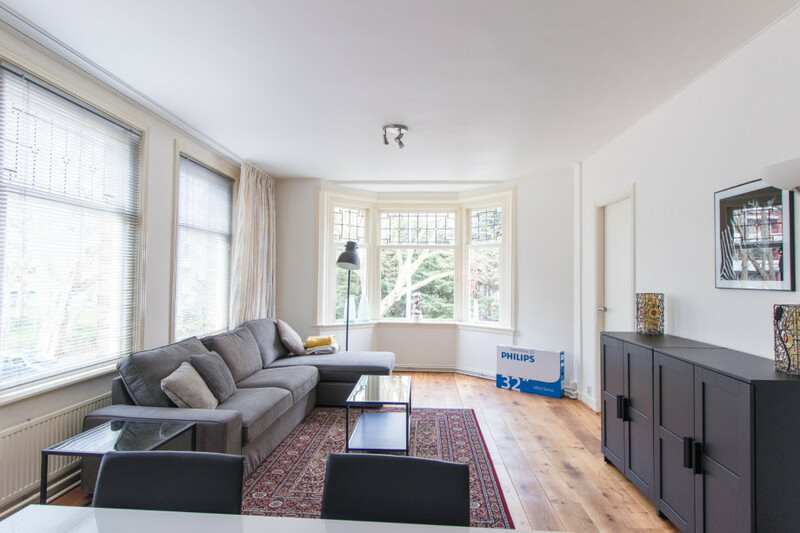 As soon as you enter the apartment you will feel home. 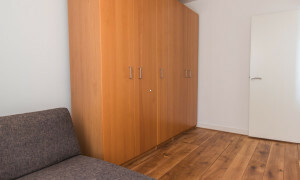 This specious 2 bedroom - apartment comes with new furniture and wooden floors. 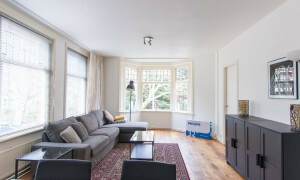 The apartment has windows all around, which give lots of light and secluded views on line of trees. 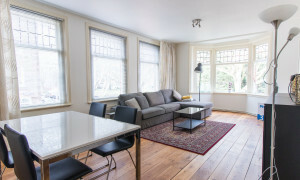 In the corner you will find the spacious living room, with dinning area and living area. 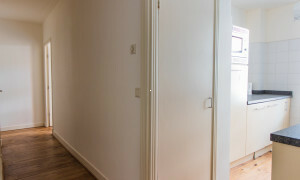 The hallway gives access to the fully fitted kitchen, the master bedroom with comfortable double bed. 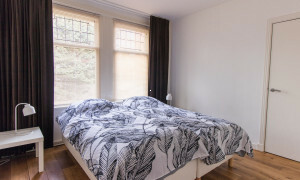 The second bedroom is decorated as guest room, while it’s possible to add single bed or a crib or use it as a study. 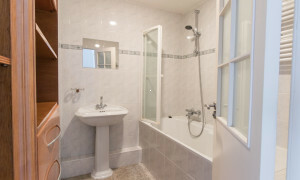 The bathroom has a sink, a bathtub and a separate toilet. Available now and ready to move-in. 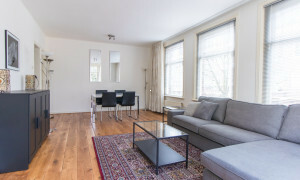 The location of this apartment is ideal - in the cozy Hoofddorppleinbuurt in Amsterdam Oud Zuid. Well connected to all directions since the location is near the ring way and public transport. 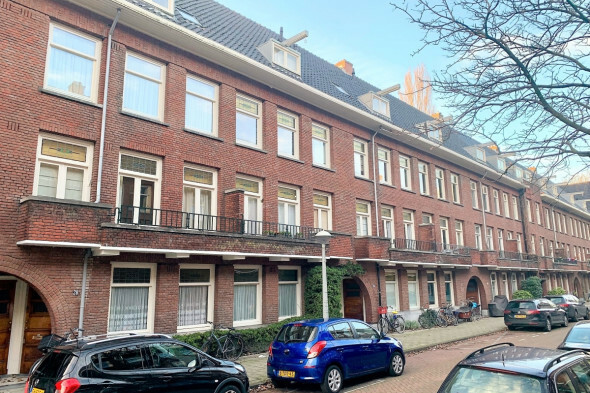 Surinameplein and Hoofddorpplein are within walking distance (tram 1,2 and 17 and buses) but you are also on the roads within minutes (A10, A5 and A4). 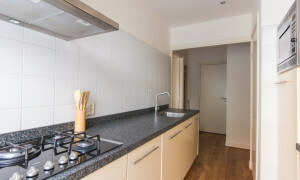 Nice parks are located within a short walking distance as well as grocery shops and other facilities. 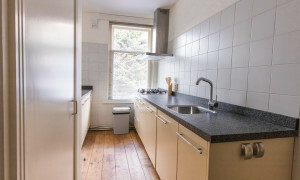 Good connection to Lelielaan Station, Sloterdijk Station, Central Station / City Center, South Station / business district.